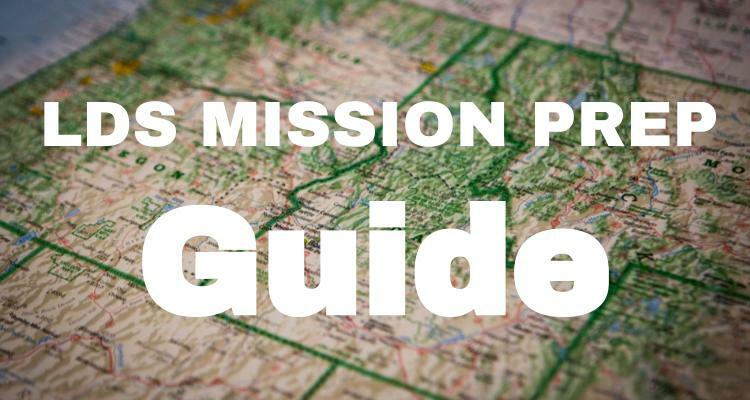 Here’s a great LDS mission prep guide to help you prepare to serve as a missionary! Serving a mission for the Church of Jesus Christ of Latter-Day Saints is a great opportunity and a privilege. However, there are lots of “unknowns” and uncertainty as you prepare to serve. I hope to add a few tips and advice to help you feel a little more prepared. I have included things to know about the mission as well as a list of things to start doing now to prepare to serve. I have included links to direct you to the words of Latter-Day Apostles and Prophets who have taught us what we should do. Obedience brings blessings. Miracles are all around you on the mission. If you are being obedient, God can better use you to bless the lives of others as well as your own. Not all Missionaries are Going to be Obedient. While there are great blessings and lots of miracles for obedience not all missionaries are obedient. It is quite the challenge to be 100% obedient. Being 100% obedient isn’t easy, nobody is perfect, but it is what the Lord asks of His missionaries. Every young man and young women leaves to serve a mission for different reasons. Almost always you won’t know where your fellow missionaries’ backgrounds and stories. As humans, we tend to judge people. As a missionary you come across all kinds of people. Each is a son or daughter of God and He knows their hearts. Sometimes the very people that you think will not progress in the gospel are the “golden investigators.” As you strive to share with everyone, you will be blessed. Love is pretty basic but brings great power. Love everyone- the people, investigators, members whether active or not and your companion. Your faith will be tested and it will either grow or shrink. Put your trust in God and let it grow. God has called you to your mission. He didn’t call a robot. He is also pretty powerful and can do all things with or without you. But your personality could be the right thing to touch the heart of someone that needs it. You may do things that the Lord knows can help someone. Be the missionary that you can be and God will work with that. Be Open-minded to New Cultures. No matter where you serve, there will be people with different perspectives and backgrounds then you. Be respectful and mindful of others as to not offend but rather make connections that will help you fulfill your purpose as a missionary. You are often the hardest person to forgive. Stress is evident at times, sadness and trials too. Be patient. Working with members is more than just asking for referrals. The members are the secret to success. But it isn’t just that easy to ask. Sometimes it is and if that happens then GREAT! But it is important to pray to know which members to ask for help and also to know what questions to ask them so that you can be the instrument in God’s hands to find those that He is preparing. They could be family members, neighbors, acquaintances, or even just someone that they have seen in their lives. People are going to always watch you. You already stand out in your white shirt and tie or your skirt and bright colors but people will watch you whether you are aware of it or not. Be an example and a representative of Christ. People aren’t Rejecting You. They are Rejecting the Message. Helping members of the Church, both active and not active, draw closer to the Savior will help them and it can bring joy to your soul too. It is a great tool to find new people to teach but it is also crucial to build up and strengthen the part of Zion that is already there. Follow the Spirit in order to know what to teach your investigators, what commitments and invitations to leave with them and when to give them. You are the messenger so that the spirit can convert. Your mission president will lead you and help you. He will receive revelation for the mission. Trust him and follow the council he gives. Respect the ward and stake leaders where you serve. Turn to your mission president when you disagree with the local leaders. The only time that you can be a missionary is now. You will work hard and it will be hard but enjoy the experience. You will have the rest of your life to reflect on your service. You will always be able to share your beliefs with others but on the mission you are set apart as a representative of Jesus Christ and should testify every time you can. You are there to reap but you can certainly plant seeds in the process so that others after you may reap too. Testifying will also be a great tool for you to help people come unto Christ. It is important to measure your progress so that you can evaluate and make appropriate steps. A great way is to have a name for every number. Goals can help push you when you are tired and pick you up in joyful success. It is normal to not get along when you first start out. In a matter of days or even hours your mission is different than your home. You come with certain expectations only to find things a lot different. Your trainer is there to help you. Be humble and teachable. Trust your trainer. He or she has been selected by your mission president to help you in the transition. Each missionary is different and therefore each person will have a different mission. You are accountable to God for it. Don’t compare yourself to other missionaries. Focus on your strengths and how you can be an instrument in God’s hands, as well as your weaknesses so that you can improve. The mission is short and will one day seem as a dream. A journal can be a blessing for you and your family to remember it. Writing in a journal also sets time aside to reflect on the day and see what went well and what you can do the next day to improve. It is a time that you can receive revelation for yourself or your area. Sunday isn’t a Day of Rest. Sunday is a day to go get investigators to come to church. Or a day with calls waking investigators up for church. It is another day to teach people and sometimes teach Sunday school or priesthood lessons. It’s a day to finish the week strong and also a time to start looking for more investigators. It’s so busy no wonder preparation day is on Monday! The beginning can be scary. You might question yourself throughout your mission and see yourself as someone who can’t. Have patience. Communicate with fellow missionaries. Turn to your president and cherish interviews with him. Turn to the scriptures and talks from prophets for guidance and comfort. Use your companion as someone who will listen. Don’t give up. You are where you need to be. “In meetings with young members of the Church around the world, I often invite those in attendance to ask questions. One of the questions I am asked most frequently by young men is this: “What can I do to prepare most effectively to serve as a full-time missionary?” Such a sincere question deserves a serious response. This entry was posted in Articles, LDS Church, Mission Prep, Missions, Things To Do and tagged Advice, LDS, lds mission, lds mission prep, lds missionary, mission prep, Missions, Things to do, Tips. Bookmark the permalink.